Does the country you support qualify for Quarter Finals? Don't despair your country that you support does not qualify to knockout stage. Now the @blocktrades continue the contest World Cup contest for the Quarter Finals stage. 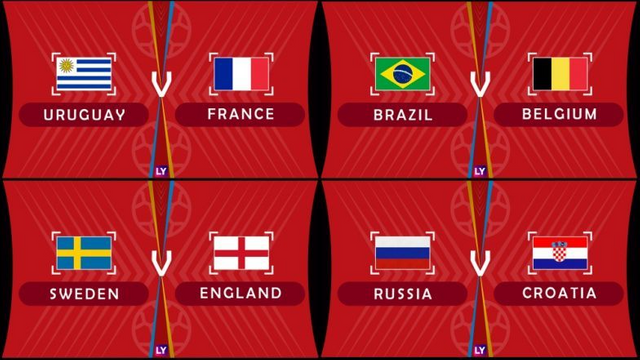 There are 8 countries fighting each other tickets to Semi Finals. Certainly exciting and full of drama for football lovers. Prepare your best guess and won the prize. Let's Steemians participate in the contest, while celebrating the World Cup of Russia 2018.